Alongside my love of makeup, i've also developed a little love for storage! Every beauty blogger and there dog has a similar way of storing their makeup so I had to join the trend. Say hello to my Muji drawers! I decided to order two sets of drawers to store my everyday/most worn makeup. The 2 I opted for are the 2 wide drawers and the 2 wide drawers with flip top lid. The flip lid is a little redundant mind as i've added my lipstick holder on top, along with my hair care pieces and my eyelash curlers. 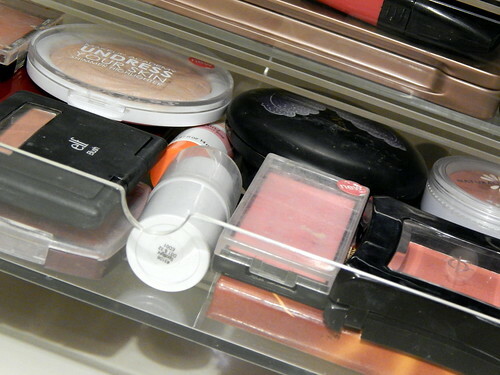 I keep the drawers on top of my dressing table next to my nail varnish holder and my No7 mirror. 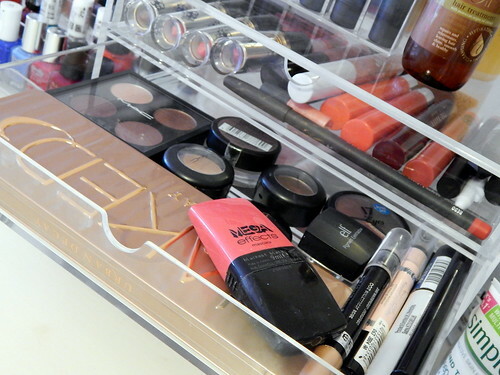 The acrylic drawers just look so nice and it makes it easier to see your products. I definitely think i'm going to buy a couple more and fill them with products I definitely need to use more. 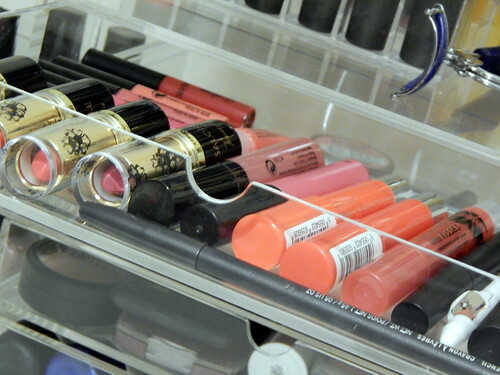 I don't have any Muji YET I store mine in Floral drawers and I have an acrylic lipstick holder. 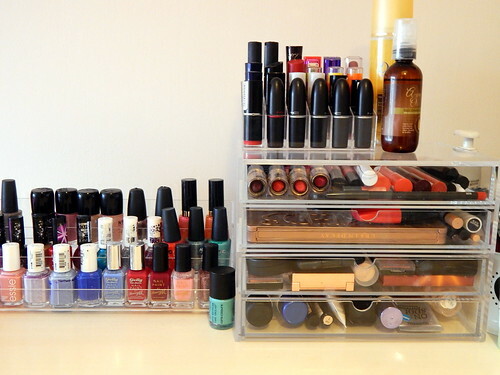 your makeup storage looks absolutely lovely! Great storage! 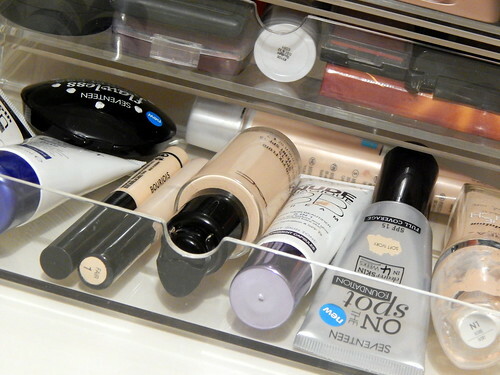 I keep all of my make-up in my dressing table drawers but its getting a little out of hand now, may need to invest in some Muji! I think I'm the only person who hates acryllic storage boxes. I think they're quite tacky in most environments, unless you have a really modern design.